Milwaukee Bucks star Giannis Antetokounmpo leads All-Star balloting after the first 12 days of the fan vote. 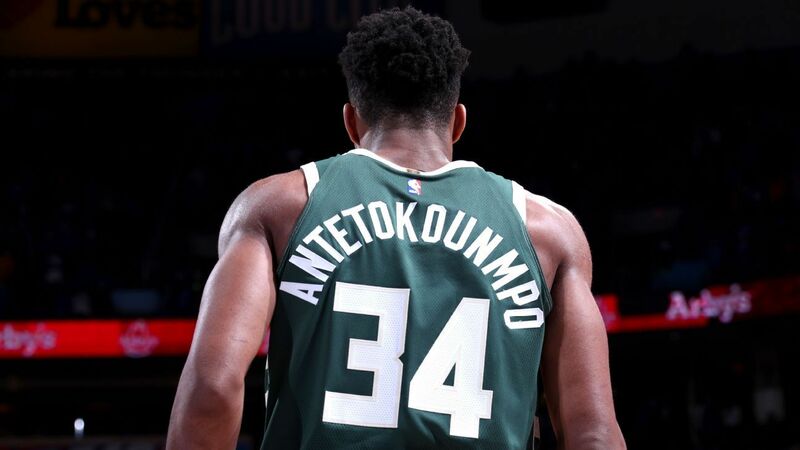 Antetokounmpo is ahead of the Cleveland Cavaliers' LeBron James by nearly 7,500 votes and leads third-place Kyrie Irving by more than 50,000 votes in the first vote tabulation, released by the NBA on Thursday. Kevin Durant (767,402) and Stephen Curry (735,115) are fourth and fifth on the list, respectively, and have garnered the highest vote totals among Western Conference players. The voting reflects a remarkable start to the season for the 23-year-old Antetokounmpo. He is second in the NBA in scoring (29.1 points per game) and ranks in the top 20 in blocks, steals and rebounds. Under a new All-Star Game format, the player who receives the most votes in the Eastern Conference and Western Conference will each serve as a captain and will choose teams from the pool of players voted in as starters and reserves. As in previous seasons, the starters will be determined by the fan vote as well as a vote among current players and media. Fans will account for 50 percent, while all current players and a media panel will account for 25 percent each. Players will be sorted by conference and position (guards and frontcourt players), and the two top guards and three top frontcourt players will be named starters. NBA head coaches will select the reserves. The two captains will then draft a team based on the pool of players. In the Eastern Conference, Antetokounmpo (863,416), James (856,080) and Philadelphia's Joel Embiid were the top three frontcourt players in the first fan vote. New York's Kristaps Porzingis (359,459) was fourth. Irving and Toronto's DeMar DeRozan (259,368) were the top two guards. Indiana's Victor Oladipo (251,886) was third. In the Western Conference, Durant, New Orleans' Anthony Davis (393,000) and teammate DeMarcus Cousins (356,340) were the top three frontcourt players. Golden State's Draymond Green (325,612) was fourth. Curry and Houston's James Harden (602,040) were the top two guards. Oklahoma City's Russell Westbrook (438,469) was third. The starters and captains will be revealed Jan. 18, and the reserves will be announced Jan, 23. Full team rosters will be announced Jan. 25. The All-Star Game is Feb. 18 in Los Angeles. The next round of fan voting will be announced Jan. 11.